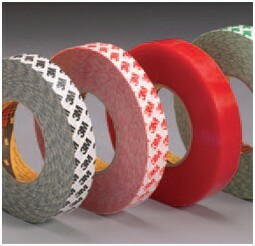 Innotec of WI, Inc. is a convertor of 3M adhesive tapes. 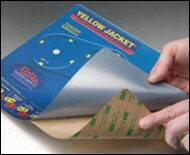 3M adhesives provide the convenience and simplicity of a tape fastener and are ideal for use in many interior and exterior bonding applications. Transfer Tapes provide aggressive and immediate bonding to most substrates, thus a thin layer of it is sufficient for high adhesion applications. Lamination of foam, nameplates and low surface energy are a few of the wide range of applications that use transfer tapes. 3M4004-4032 Natural white, open-cell urethane foam with a high temperature acrylic-based adhesive 250 to 30 56 oz. Permanent Bonds glass, metal, wood, plastics, chipboard; used in assembly of P.O.P. displays, signs and high surface energy substrates. 3M4056 Black, open-cell, urethane foam with a high temperature acrylic-based adhesive; available 31.25 mil is 3M4052 62.5 56 oz. Permanent Bonds glass, metal, wood, plastics, chipboard; used in assembly of P.O.P. displays, signs and high surface energy substrates. 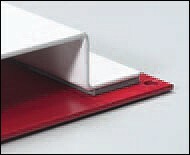 3M4611 Gray, closed-cell acrylic foam with a general purpose acrylic-based adhesive on a red PE film liner 45 88 oz. Permanent Bonds glass, metal, wood, plastics, chipboard; used in assembly of P.O.P. displays, signs and high surface energy substrates.